Where’s my Popcorn?!? DTC Takes Over Artwell! 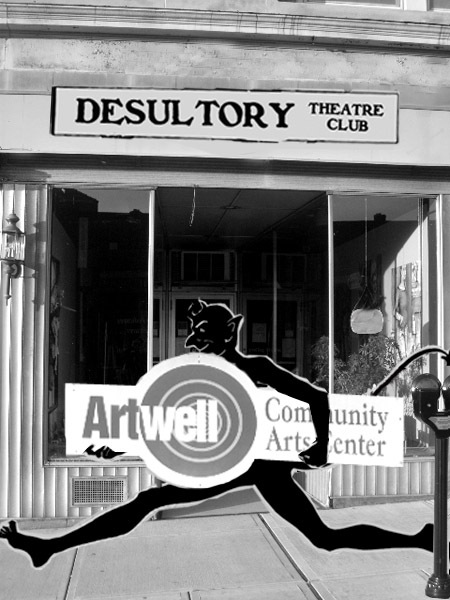 So, once again the DTC takes over Artwell! This time for a movie premiere Triple Feature!! Who or What is CrookieCookie? Mind Powers? Really? Villains from the planet Palindroma? Free homemade chocolate chip Cookies from Rocket Fine Street Food? BYOB? I can show up in my Pajamas? In an art gallery?!? Come a little early and check out Artwell’s new “Mixed Media” exhibit! In Torrington?!?!? And it’s FREE??? Nom Nom Nom!!! CrookieCookie in the Press! Man do I really like a good cookie. Or even better a CrookieCookie! Here’s a little press from Today’s (4/21/11) Waterbury Republican Newspaper! Hope to see you there, or you can go drink from the fire hose! When it comes to local filmakers, there is one man that I admire a ridiculous amount, and that man is Mike Verna. 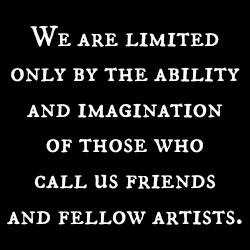 The stuff that he churns out through his Five Film Productions company is great fun and super-creative. The reason I chose to adapt the first CrookieCookie film as a short play was only in tribute to something I enjoyed so very very much. And now, through the powers of chance, I have the full Trilogy of films in my hand for a short while. So why not share them? Looking for a FUN and FREE way to kick off your Spring Break? Are you someone who is fascinated with Mind Powers? Are you someone who likes forwarding cool events to their Facebook friends? Are you someone who appreciates Original Films? 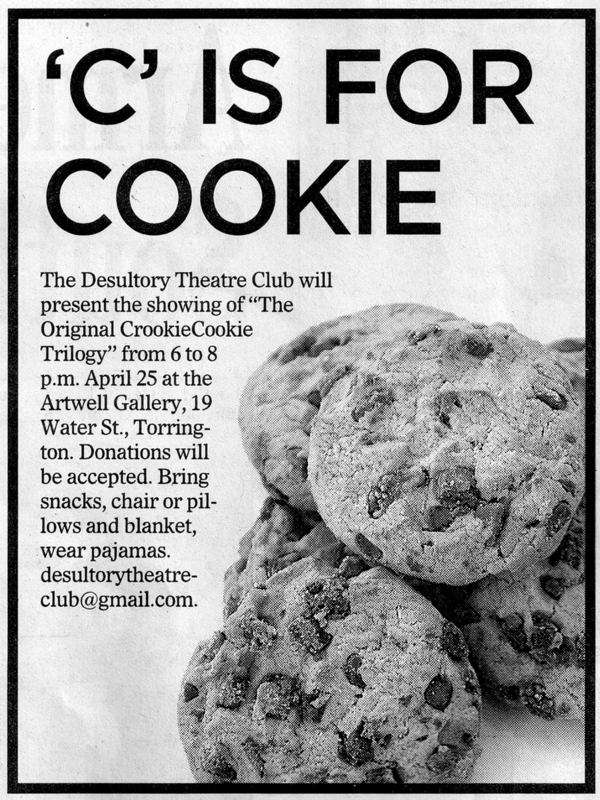 Come spend part of your evening, Monday April 25th, with the Desultory Theatre Club! Grab some Beverages and Munchies! Bring a comfy chair or some Pillows and a Blanket! Come down to Artwell and watch the Original CrookieCookie Trilogy!! Running time is about 2 Hours! Come follow the adventures of CrookieCookie and his Mind Powers! 3 Guys. 1 Elephant. A Test of Strength! Film 2 – CrookieCookie 2: CrookieCookie + CrookieCookie! See CrookieCookie battle ONINO from the Planet PALINDROMA! Film 3 – CrookieCookie 3: CrookieCookie Nights! The never-before-seen conclusion to the trilogy by the Public! First Film starts at 6:00 PM! Donations for the use of the space at Artwell are always welcome. Next up was our first solo show at the Artwell Gallery! Looking to blend the Arts together, The DTC presented an evening of Music, Theatre and Photography! With Special Guest yummies by the Rocket Fine Street Food gang! The Rocket parked outside and a line immediately formed! Artwell’s “Shooting from Your Third Eye” Photography exhibit was on display. The seats in the gallery filled up with standing room in the back. The Sawtelles began the evening with their own special blend of “Nerve Rock”. 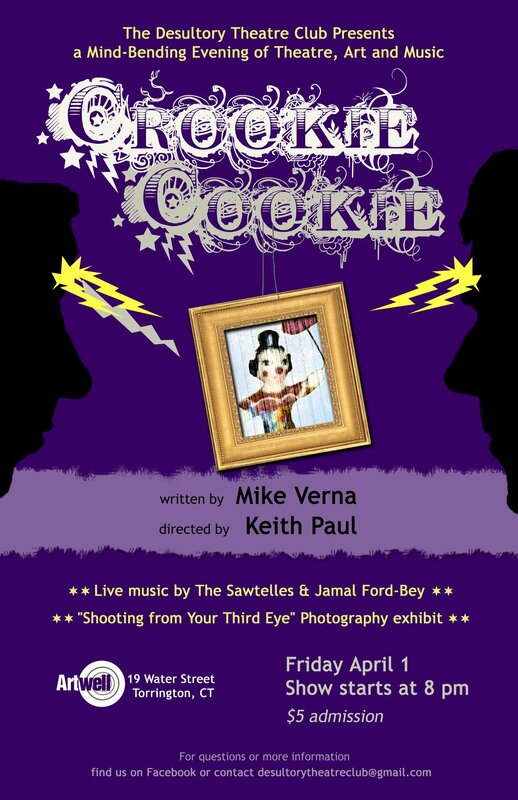 Followed up by the world Premiere of Mike Verna‘s “CrookieCookie”, a play about Mind Powers, based on the short film of the same name. After that the audience was treated to a performance by Jamal Ford-Bey. Another successful evening for all in the books!